leather backpack grey - robins hood - dutch design - interior - accessories - vintage. 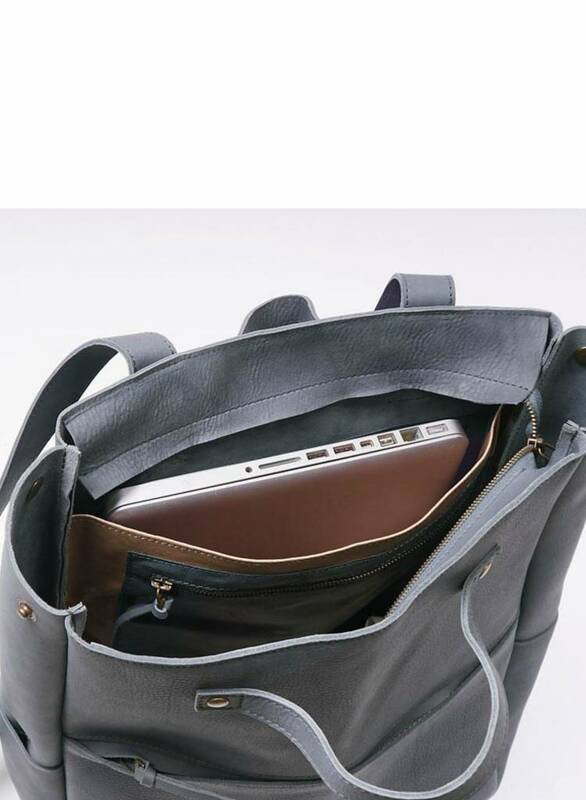 ergonomically perfect and also super stylish? yes, found. handcrafted for you in Amsterdam. This bag will be your new best friend. Comfort and looks meet in this minimalistic design. 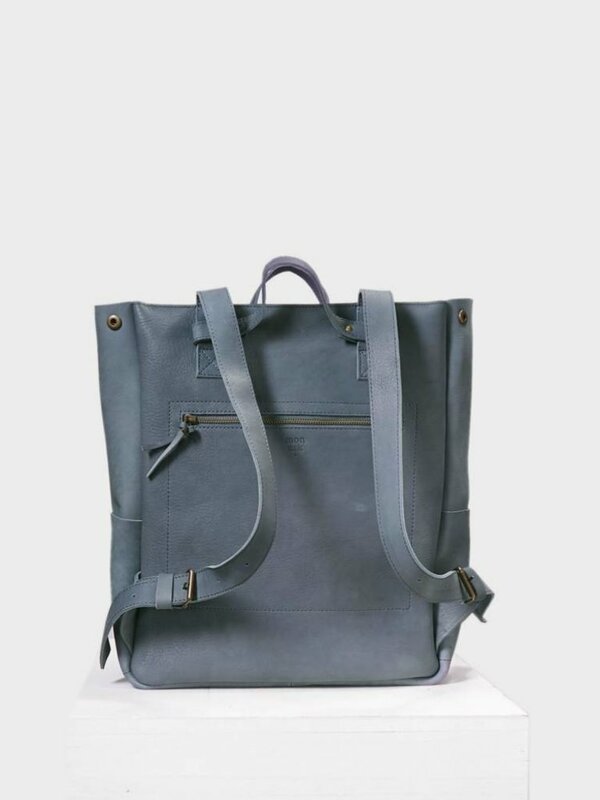 Dress up or dress down, this unisex backpack effortlessly steals the show in a sporty or a business look. 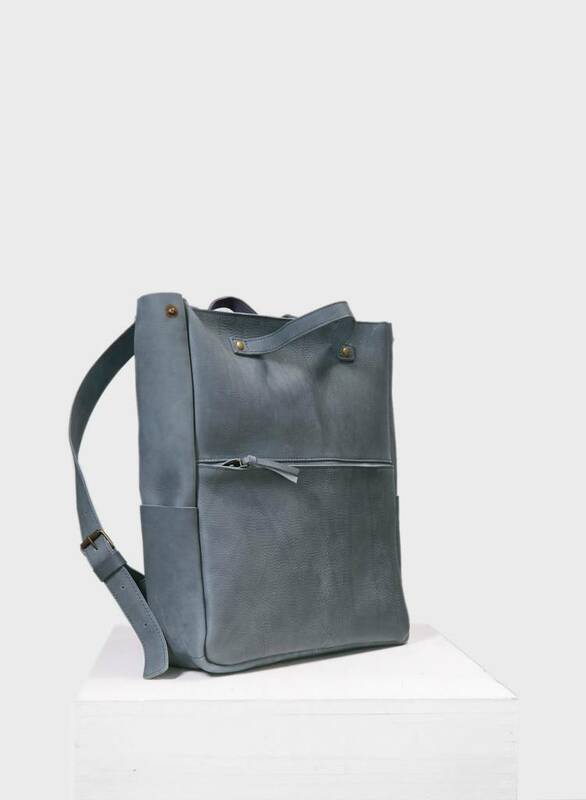 This is a sturdy leather backpack including strong handles that can carry a lot. With mini handles to carry the bag on hand or to hang on your bike. There is a separate compartment for your 13" laptop, but a large 17 "laptop fits easily as well. 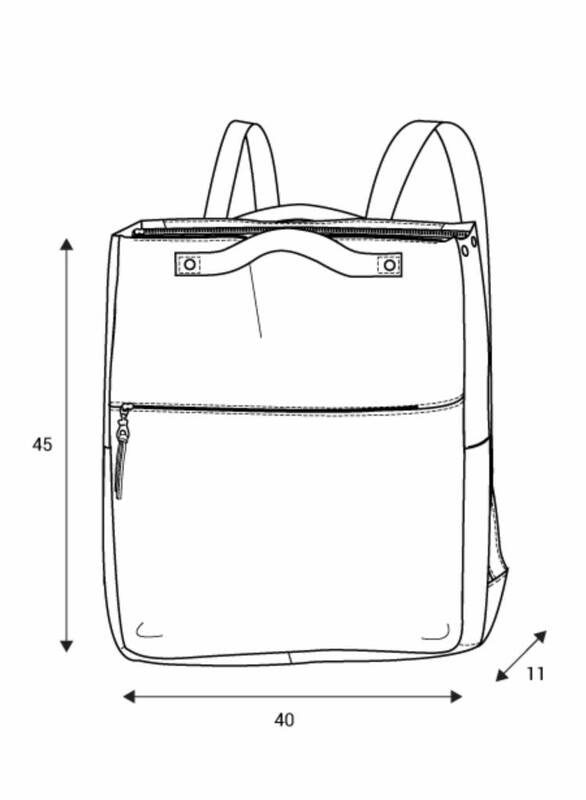 The bag features many compartments (amongst which with a zipper closure on the back, at the front and on the inside) and adjustable straps. 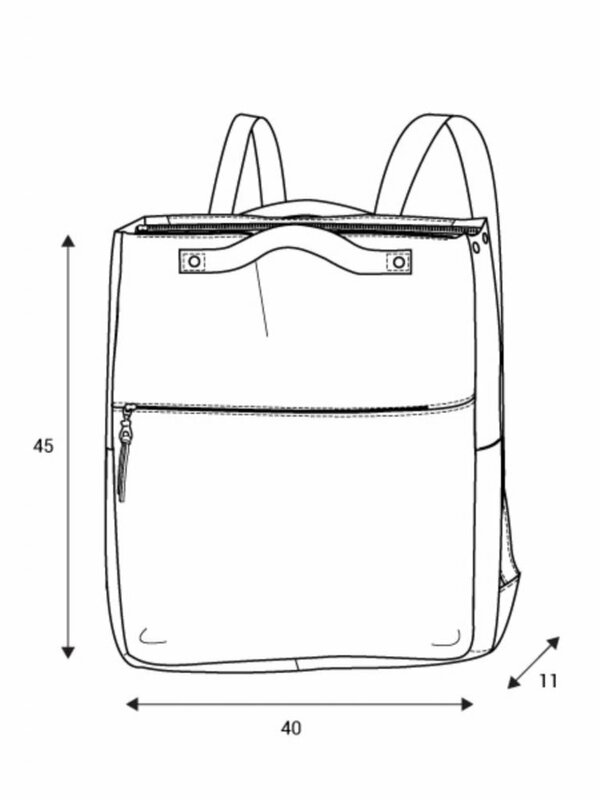 Ofcourse it closes with a zipper on top. 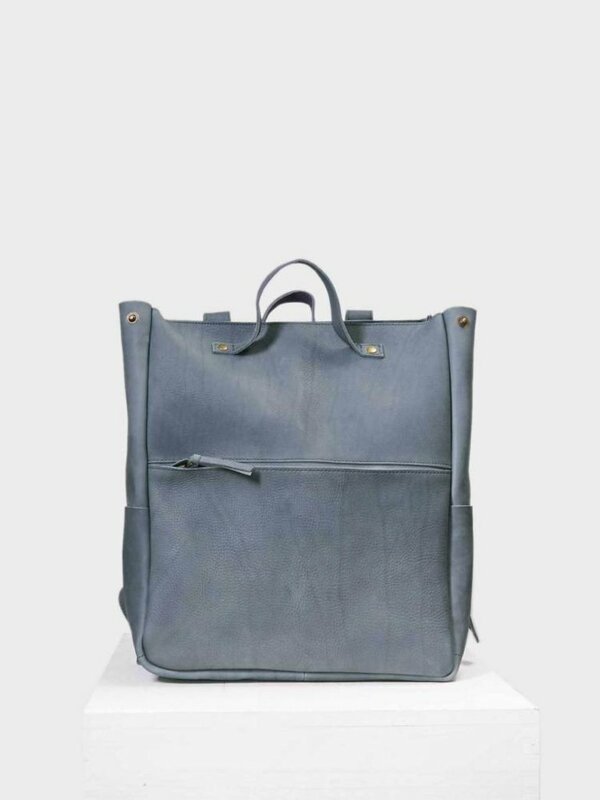 In short; ideal for going to work, one day into the city, a weekend away, ... you name it. Material; leather, size h 45 x w 40 x d 11 cm. 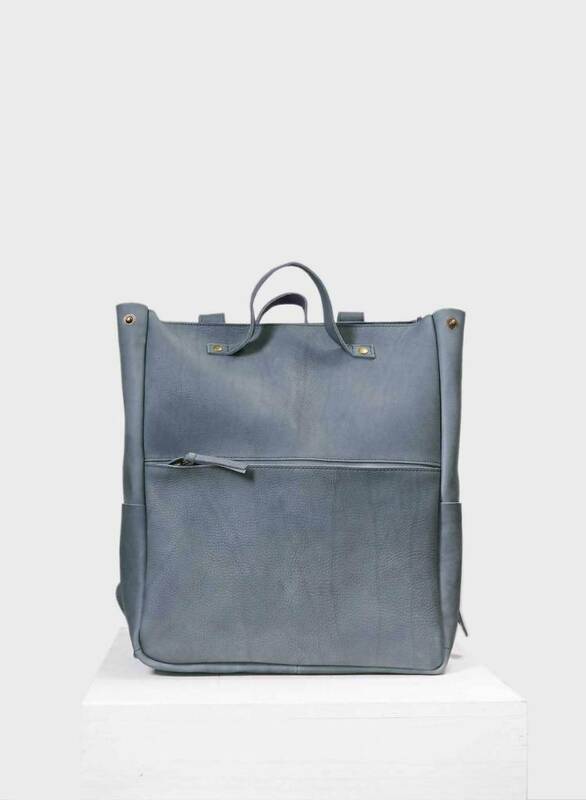 this beauty is a modern rucksack in a cool design to fit people of all sizes who want to go for a sleek, stylish look. 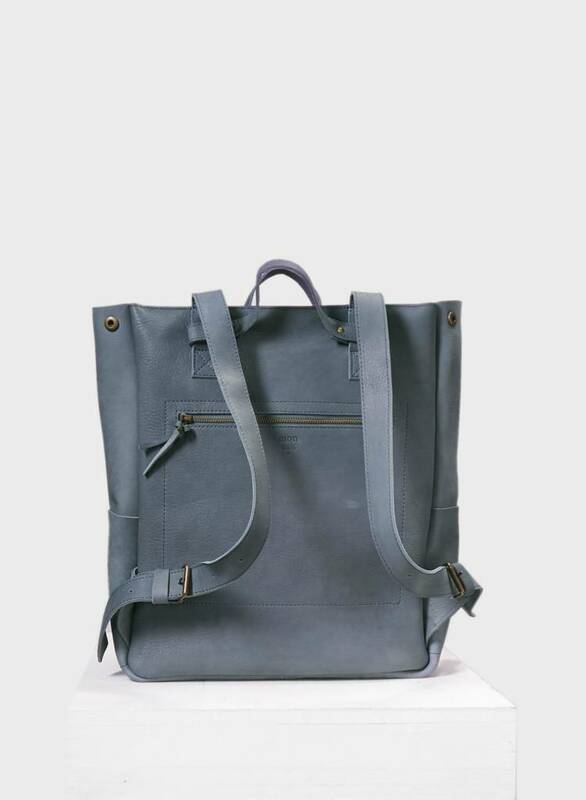 this large beauty is a modern rucksack in a cool design for people who want to go for a sleek, stylish look.